On May 22, 2011, an EF-5 tornado landed in the town of Joplin, Missouri. Nearly every resident was impacted by the disaster – Within hours the tornado took the lives of 161 people and destroyed approximately 7,000 homes and businesses. At 2:30 am the next morning, the first AmeriCorps team arrived. 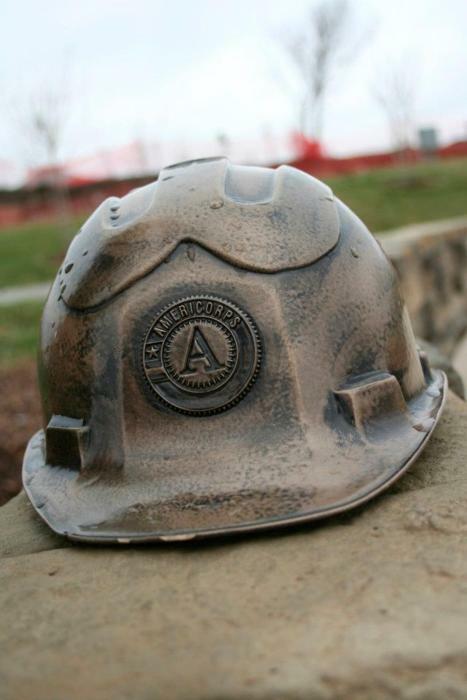 Since then, AmeriCorps Alums and currently serving members have been critical in the disaster relief, recovery, and rebuild efforts. 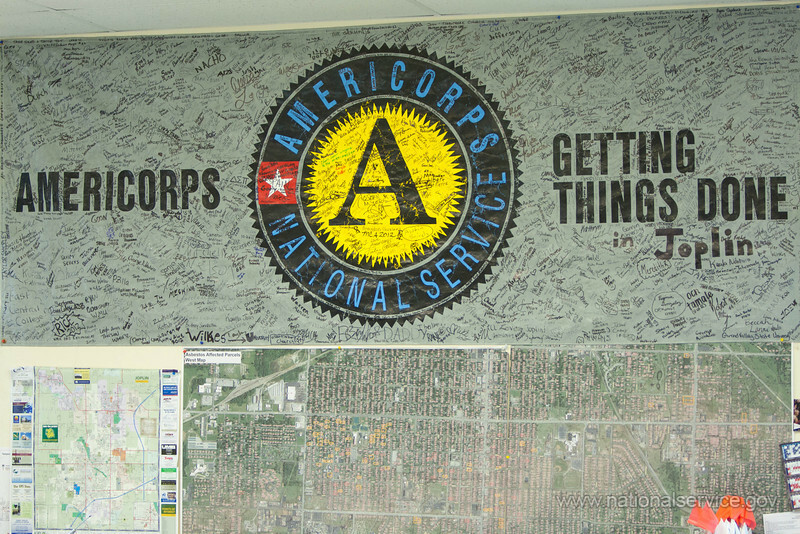 According to the CNCS “2012 AmeriCorps Response to the Joplin Tornado Fact Sheet,” 350+ members have served 76,000+ hours, helping to manage 75,000+ volunteers who also contributed 520,000+ hours of disaster relief and direct service. These members and volunteers have helped to complete 2,200+ household requests, mucked and gutted 730 + homes, operated donation and distribution warehouses, coordinated donations, and managed large-scale operations. On the second anniversary of the Joplin Tornado, the local community is focusing on the “Resilience, Resolve, and Realization” of the citizens. As of April 2013, 176,869 volunteers have served 1,146,083 hours to help rebuild Joplin. In addition to recognizing the organizers and residents of Joplin who helped in the recovery, the city of Joplin is grateful to the many individuals, groups, and organizations that came to serve. Points of Light is working directly with our HandsOn Network affiliate, the United Way Volunteer Center of Central Oklahoma, who is leading the local volunteer response with many local and national partners to the devastating tornadoes that swept through Oklahoma this week. To register your interest to volunteer please click here. To donate please click here. The immediate needs of the survivors are being met through local emergency management, the American Red Cross and many VOAD agencies. Please do not self deploy. We are working diligently to identify meaningful volunteer opportunities to assist the survivors and help rebuild their community. We appreciate your patience!